There is some decent Rangers news in the signing of Alex Frolov. 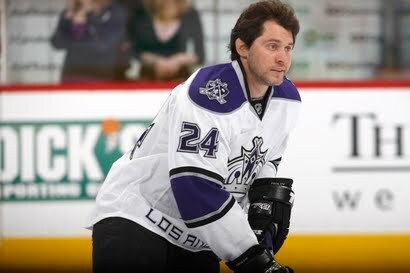 Frolov, the former LA King, signed a 1 year deal at 3 million dollars (probably incentives?). I believe this was a good move by Glen Sather. Frolov automatically gives the Rangers an upgrade at forward. For some reason he had a falling out of LA Kings coach Terry Murray’s good graces. Frolov now has a great chance to resurrect his career (only 28) and give the Rangers a much needed offensive boost. I like the acquisition. It’s now up to the player to perform and live up to the expectations. The Rangers prospects will gather on September 11 in Traverse City, Michigan to begin their respective journeys into becoming a bona fide NHL player. My question to all the Rangers fans is: Which player will make the jump to the big team? I’m looking forward to your responses. Over and out! PS: due to spam we have switched the blog’s comment system to moderator approval first- I was getting annoyed with all the foreign spam comments!